Saturday, Jan. 18, from 12 to 4 p.m.
Don’t miss this amazing event with fun, food, raffles prizes, silent auctions and more! $125 lane sponsorships are available! One free pizza per lane! Bowling is not required to enjoy this great event. Don’t forget to wear your orange in support! Reserve your lane ASAP for this popular event. 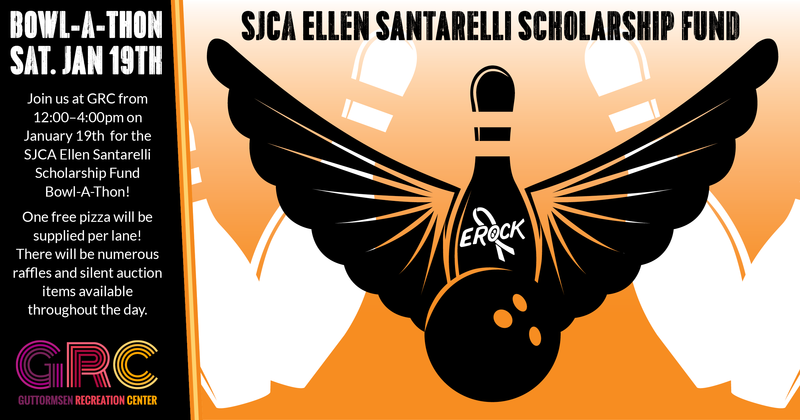 Bowl in the New Year at GRC!